for mountain biking, particularly as the ergonomics of the bike packs at the time left much to be desired. expedition through Tibet, to Mount Everest Base Camp. was still there, but this was obviously a reason for developing a sophisticated bike travel bag, as well. travel bag that he immediately ordered 50 bags. And that was to be their first “real” customer. So in 2008 they founded the EVOC brand. 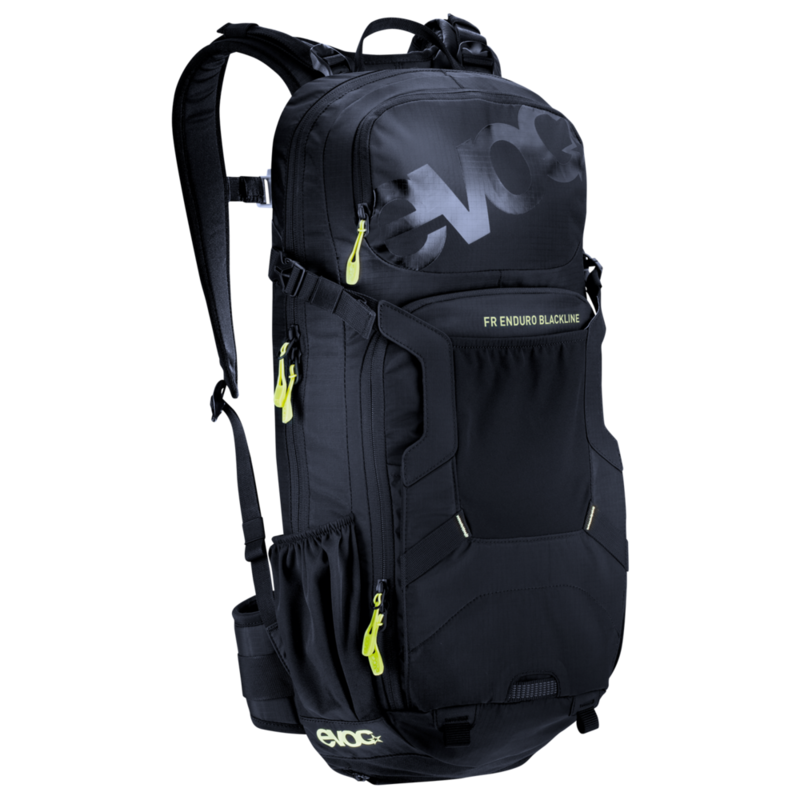 FR TRAIL BLACKLINE 20l - The EVOC FR TRAIL BLACKLINE is a high-end day pack with a back protector that offers optimal support during longer bike tours and trail rides. FR ENDURO BLACKLINE 16l - Optimised for enduro use, the EVOC FR ENDURO BLACKLINE is the pack of choice for demanding bike tours and trails with a back protector. 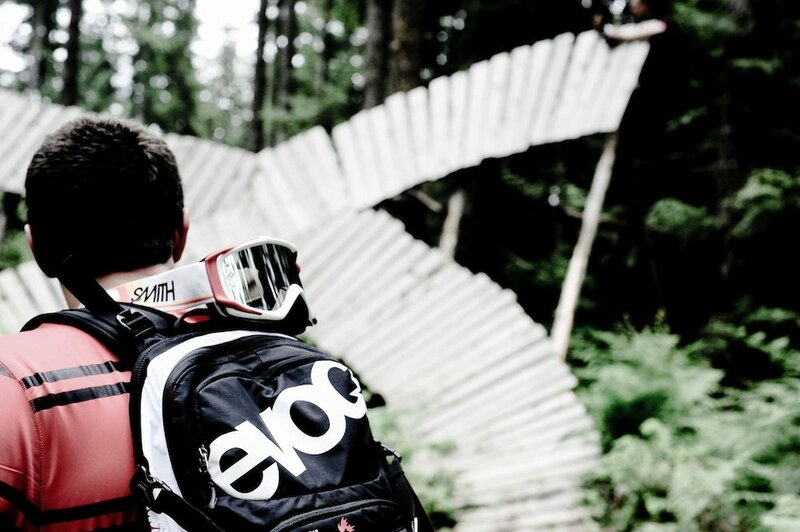 FR LITE RACE 10l- The FR LITE RACE protector backpack has been specially designed for enduro bike races. Low weight and a completely ventilated carrying system. STAGE 18l - The EVOC STAGE 18l is a multi-faceted, technical daypack. The series is characterised by the BRACE LINK carrying system, which adapts to the wearer’s individual shoulder width. 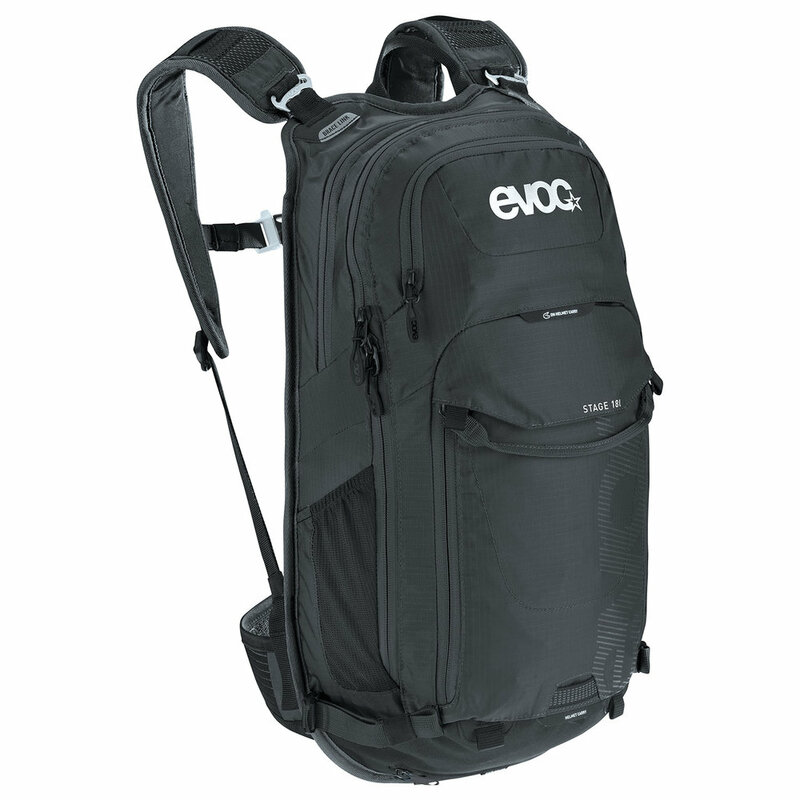 STAGE 12l - With the EVOC STAGE 12l you get a compact technical daypack with excellent features. 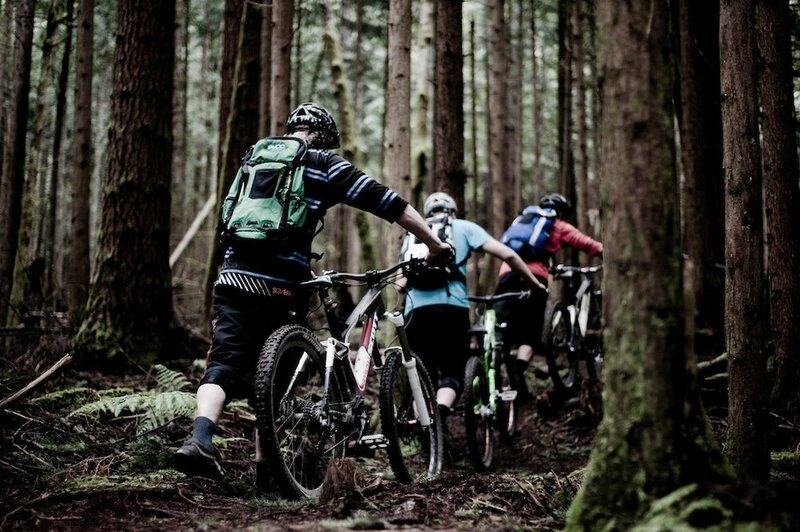 It’s the number one pack for those looking to ride their bike with little equipment. 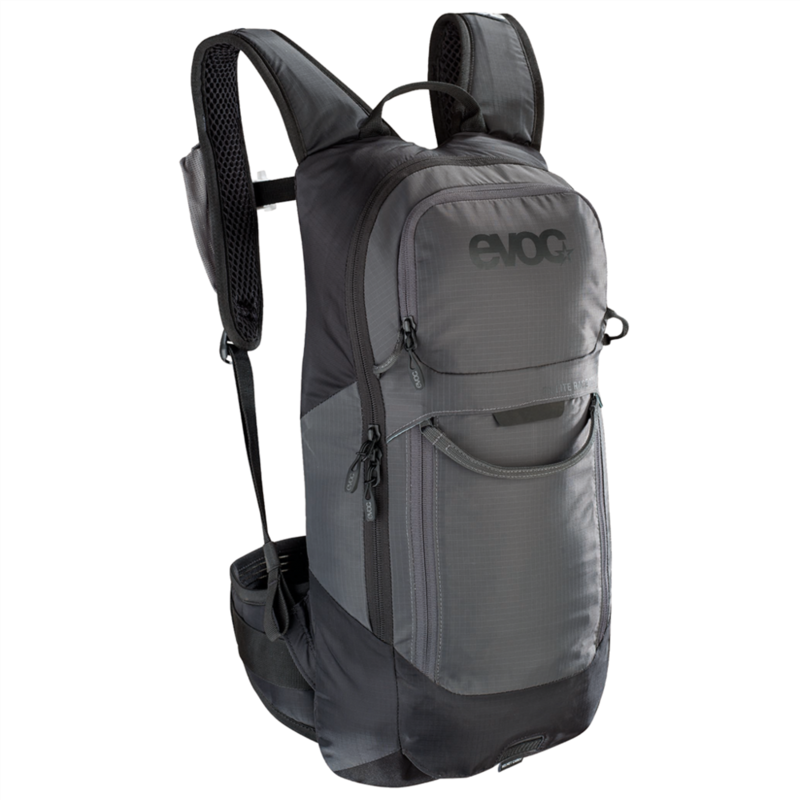 EVOC STAGE 6l - The EVOC STAGE 6l is a technical bike backpack with numerous features and details, making it the perfect choice for short enduro rides or manoeuvres in the park. 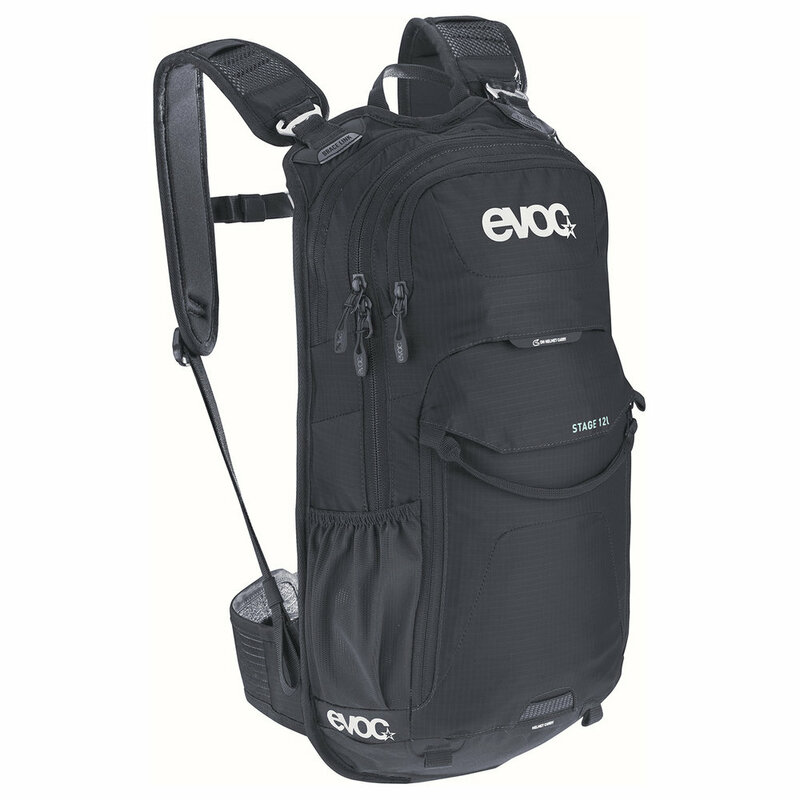 EVOC STAGE 3l - The EVOC STAGE 3l is a reduced, technical light backpack that has been developed to ensure optimal liquid supply at high temperatures and during fast bike races. 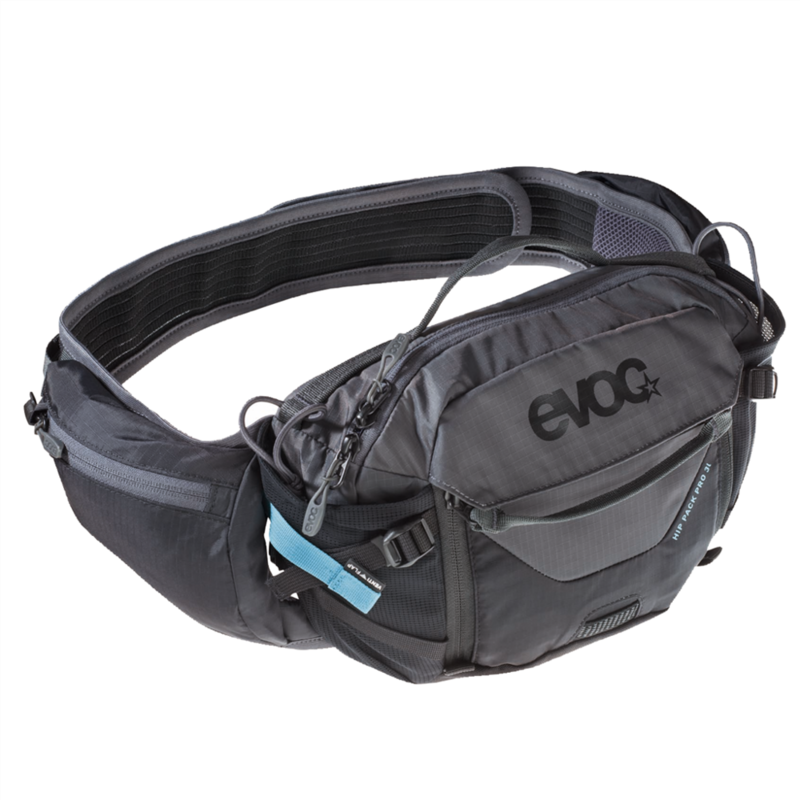 EVOC CC 3l RACE - The EVOC CC 3l RACE backpack has been specially designed for endurance bike races. Ultra-lightweight and minimalist. HIP PACK PRO 3L - High tech, back-free, ventilation optimised carry device for hydration and other essential needs on shorter rides. RAINCOVER SLEEVE - EVOC RAINCOVER SLEEVE for backpacks. Waterproof thanks to taped seams. FIRST AID KIT - The EVOC FIRST AID KIT WATERPROOF is an emergency kit for performing first aid in open terrain. BIKE TRAVEL BAG PRO - The BIKE TRAVEL BAG PRO is a High-End solution for safe and easy bike transport. It offers a maximum in protection and travelling comfort.